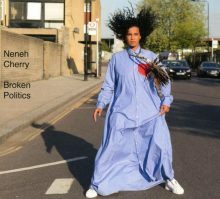 It’s hard to believe it was thirty years ago that Neneh Cherry burst onto the scene with the international hit single “Buffalo Stance” from her debut album, Raw Like Sushi, (1988). Garnering lots of MTV and BET love, Cherry was perhaps on her way to becoming huge, but as the ‘90s rolled in, Cherry did an exit stage left. After releasing Homebrew (1992) and Man (1996), she went UG—as in underground. Cherry’s whereabouts became a topic of interest for her fans. It takes a great deal of confidence and know-thy-self to just up and walk away from the commercial trappings of the game. But Cherry comes across as one who was never impressed by that. Cherry returned to the scene in 2014 with the critically acclaimed album, Blank Project. Now she is back with another solo project, Broken Politics. 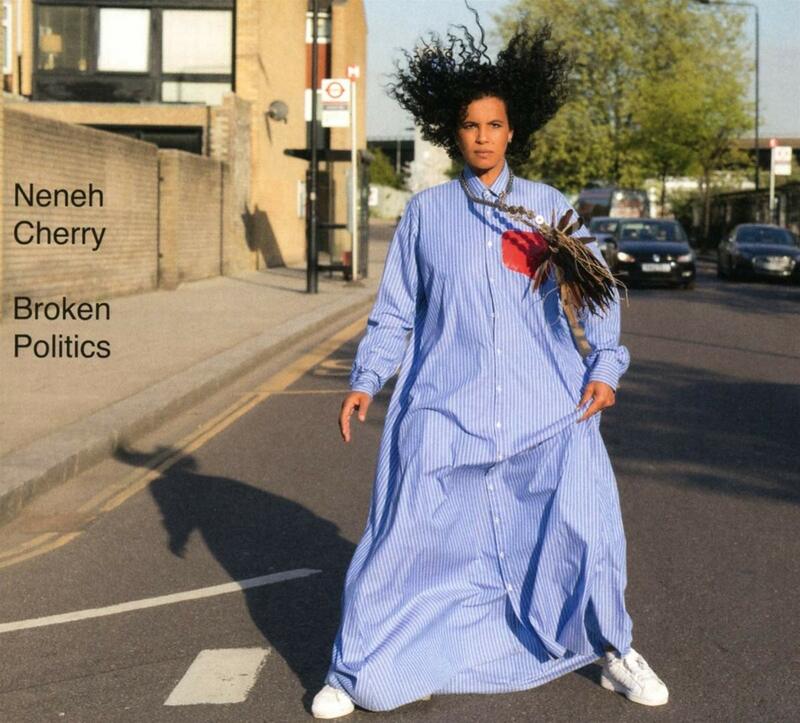 Produced by Kieran Hebden, aka Four Tet, it’s Neneh Cherry yaw. How can one describe this album for those who aren’t familiar with Cherry, let alone her previous work? Broken beat, hip hop, spoken word. And as the title suggests, a leaning towards socio-political lyrics. Opening with drums and cymbals and a broken beat tone, “Kong” is a ballad about conflict: “And Goddamn guns and guts and history / And bitter love still put a put a hole in me.” Moving into the chorus Cherry sings, “Bite my head off, seal my world, will always be another risk worth taking.” The word Kong is never uttered, but the back beat makes up for it. “Poem Daddy” is a distorted 50-second spoken word track that has Cherry channeling her inner Sonia Sanchez/Ursula Rucker. On another personal track, “Synchronized Devotion,” she whispers, “My name is Nan-Na, March 10, watersign Pisces” while in the chorus she declares, “It’s my politics, living in a slow dance, synchronized devotion.” Go on girl! Some of the best vibes in a long time can be heard on this track. “Black Monday” sounds depressing, right? But this song is perhaps the one that defines Cherry, as she addresses abortion rights. She is her own person. This entry was posted in Popular, Rock, and Misc. and tagged Broken Politics, CD review, Eddie Bowman, Four Tet, Nenah Cherry, rap, Smalltown Supersound by aaamc. Bookmark the permalink.